Women of Substance Radio is a streaming, online radio station which airs 24/7 on the Live365 Network and iTunes Radio. 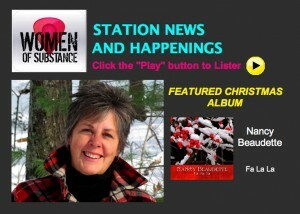 Women Of Substance Internet Radio features label artists and Indie artists in all genres side by side, and throughout the month of December, 2012, they will be featuring Nancy Beaudette’s new CD, “Fa La La”. 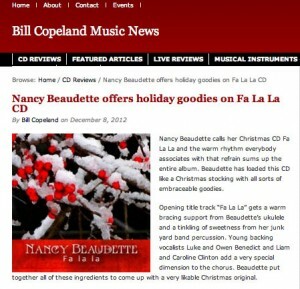 Click here to listen and for your chance to WIN a copy of FA LA LA!